AutoCAD Civil 3D has a tool that will import Civil 3D styles from one drawing or template to another. This tool is handy for choosing specific styles, but it does not import items such as description keys or parts lists. This is where the trusty AutoCAD INSERT command is helpful. 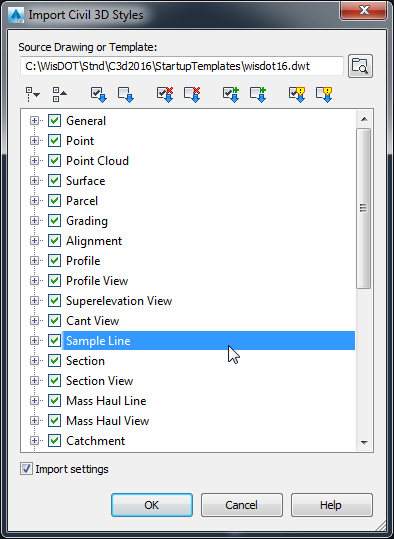 Insert a Civil 3D drawing as a block and all the AutoCAD components and Civil 3D styles including description keys and parts lists will be added to the drawing. See more AutoCAD Civil 3D tips or dive deeper with Instructor-Led or Self-Paced Training.